Unless the grandparent is a specimen fountain of youth, we have a brief childhood window of time in which to captivate the interests of grandchildren. We aim prior to the child figuring out the grandparent is really old and can’t run bases, tackle, or go along on dates. 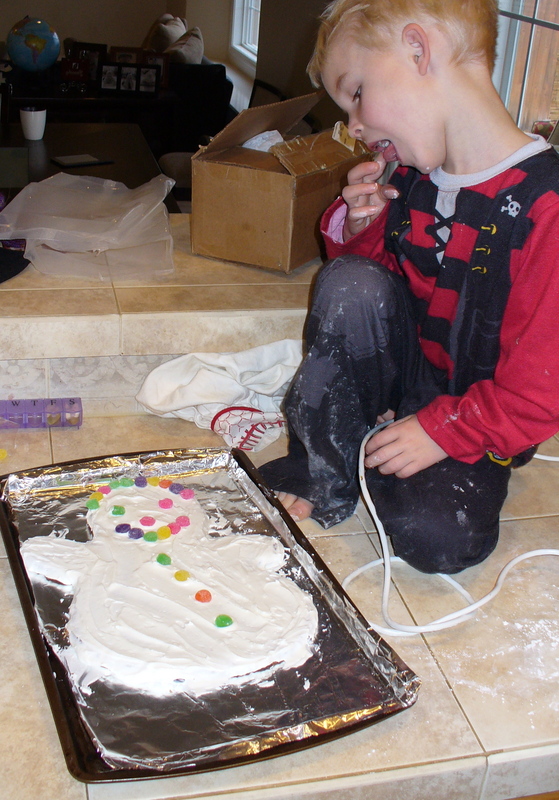 Joyful Hermit scraped the most from the snowman cookie investment when visiting the young grandson. 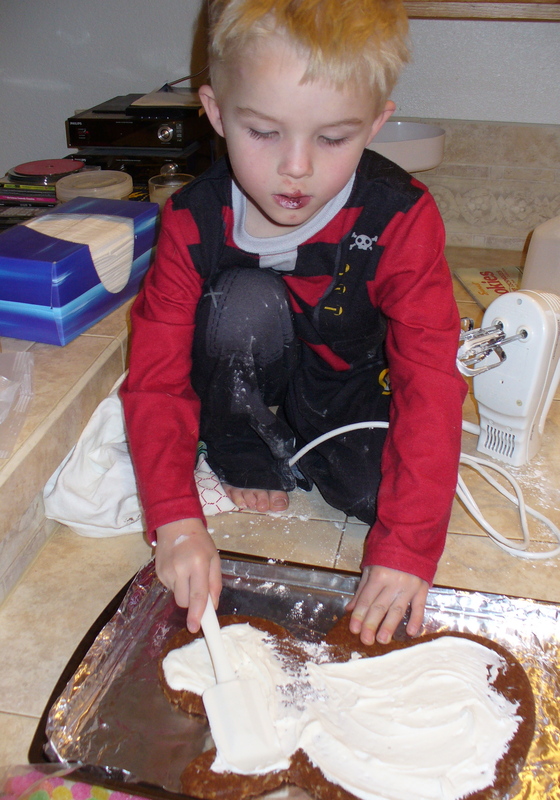 Even a preschooler can participate 100% (just about) in a baking project provided it is sweetly motivating. Grandparents: detach from old-fogy notions of perfection. Forgot this? Sticky messes can be cleaned up later. 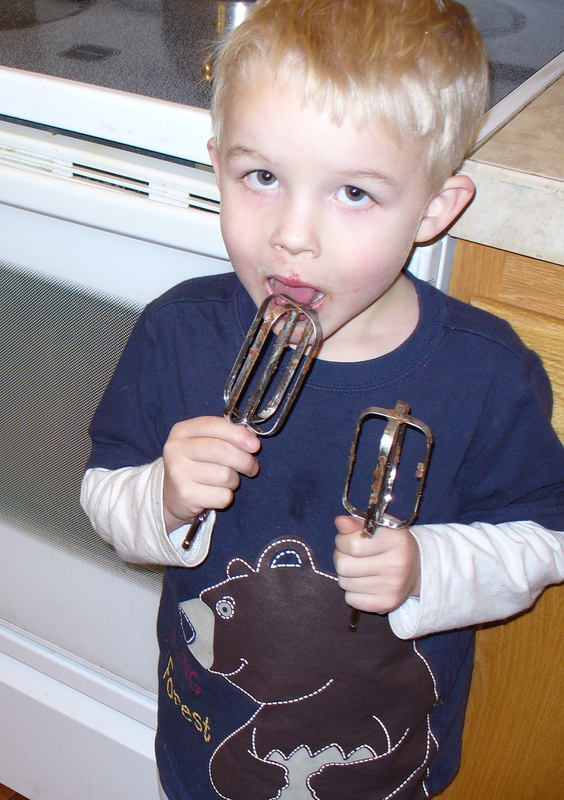 Most of all, be nimble and quick; have the mixer unplugged while the little one is jamming in the beaters. 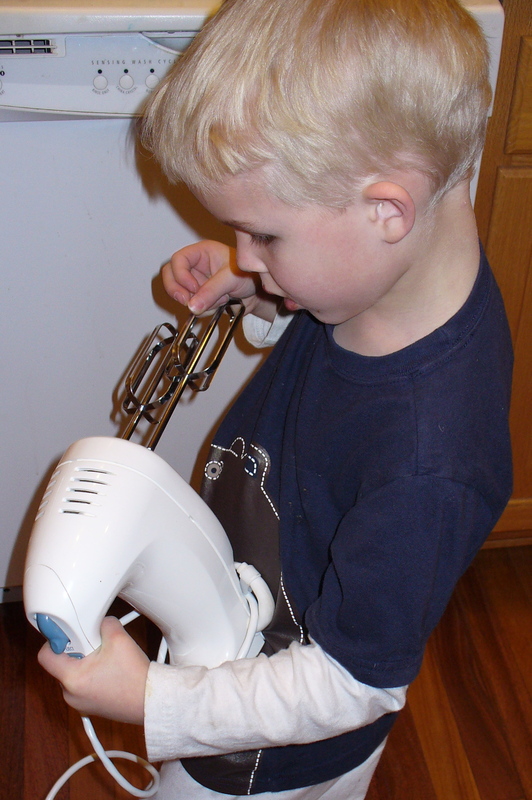 Being old and wise, we grandparents think all moments are teachable. This is true; but we must impart JOY! Ask the child plenty of questions and listen to answers. But even explain while assembling ingredients. 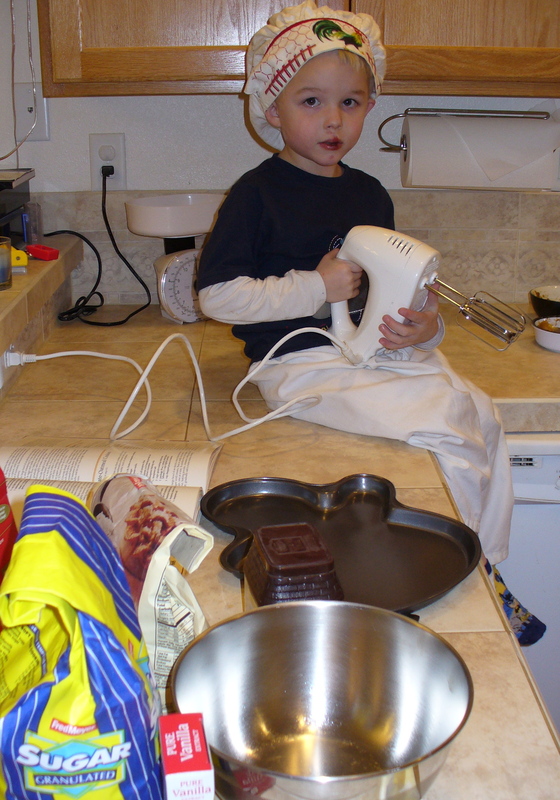 Before having the child dump the measured ingredients, grandparents: mentally prepare for the mess. 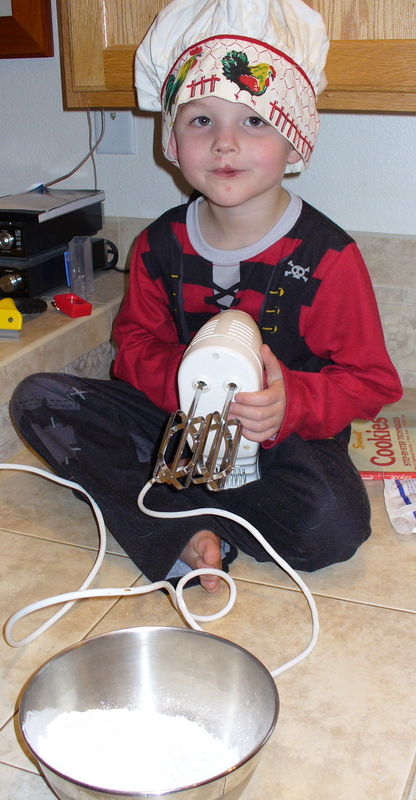 What child does not want to use an electric mixer? Discuss and do teamwork, but let the child hold the fun. 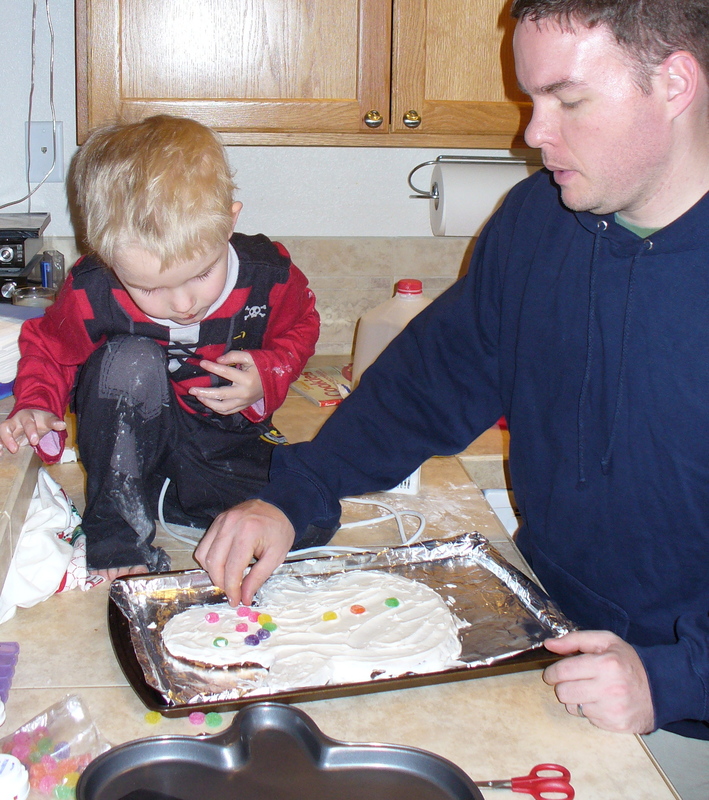 (If a mom or dad wanders into the cookie kitchen, the grandparent deftly steps aside: Let the parent-child relationship shine. Everyone join in! By the time we are grandparents, we don’t need to have to be the only one to interact with the child. We donate love for all ages. Grandparents: empower the child. 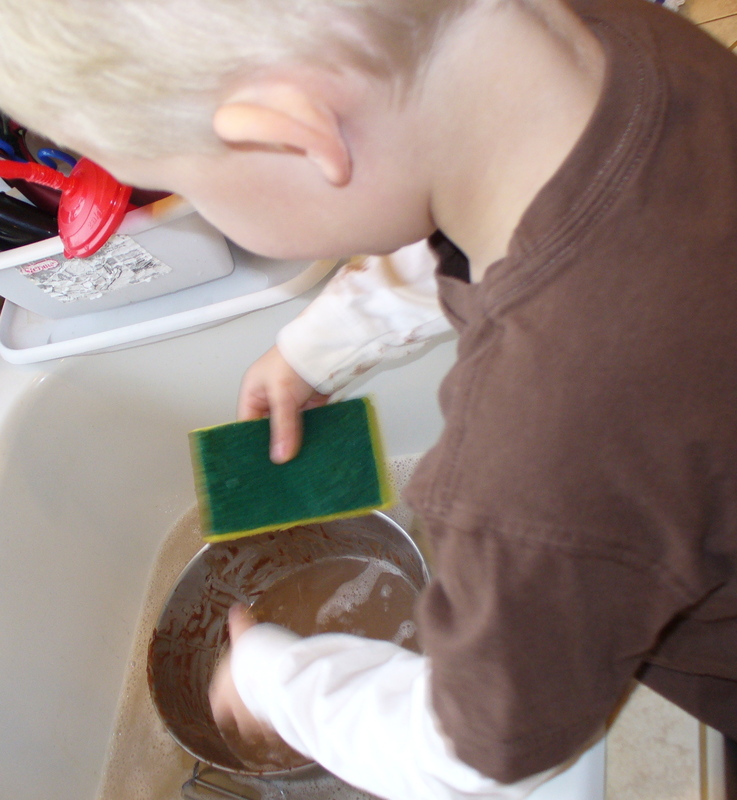 Let the little one be in charge of the clean-up process no matter how much water gets splashed or if bits of batter remain unwashed from the bowl. Keep the project as positive as our grandparents did for us (or we wish they had!). When sampling results, we must mask our germ phobias. Children are all eyes, ears and nuance-sensors. Take courage! Enjoy!